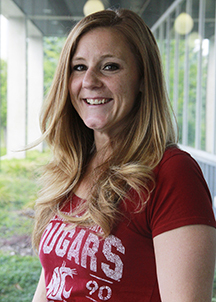 Dr. Julie Postma is an associate professor in the Washington State University College of Nursing. Her scholarship is focused on environmental health promotion among those most impacted by environmental health threats. She uses multiple research methods to engage patients, parents, clinical and community partners in collaborative research and advocacy. 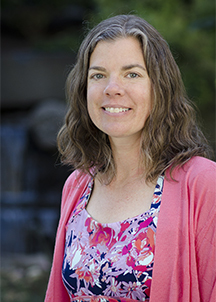 Dr. Postma teaches population health courses in the graduate program and serves as clinical faculty in the Puget Sound region for the undergraduate program. Dr. Postma is a grant reviewer for the American Nurses Foundation, serves on the WSU Institutional Review Board, and chairs the College of Nursing’s Diversity and Global Perspectives Committee. She is actively involved in the Puget Sound Asthma Coalition and has increased patient-centered research through her role as chair of the Research and Evaluation subcommittee. Postma, J., Tuell, E., James, L., Graves, J. & Butterfield, P. (In press). Nursing students’ perceptions of the transition into shift work: A Total Worker Health perspective, Journal of Workplace Safety and Health. Trujillo, E., Herschberg, R. Evans-Agnew, R. Postma, J. (In press). Development of a bilingual assessment tool to identify environmental health risks in childcares. Progress in Community Health Partnerships. Postma, J. & Ramon, C. (2016). Strengthening community capacity for environmental health promotion through photovoice. Public Health Nursing. 33(4):316-24. doi: 10.1111/phn.12243. PMID: 26679530. O’Neal, G., Odom-Maryon, T., Postma, J., Hill, W., Butterfield, P. (2013). The household risk perception instrument and the self-efficacy in environmental risk reduction instrument: Psychometric testing using Principal Component Analyses. Journal of Advanced Nursing, 69(9), 2107-2115. doi: 10.1111/jan.12065.